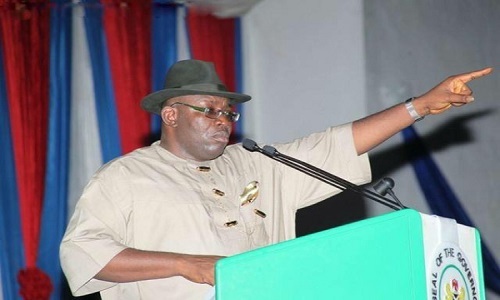 GoldCoast, mother of the governor of Bayelsa state, Seriake Dickson, is dead. The Governor confirmed the passing on of his mother on Thursday, August 9, 2018. She was 72 years old. In a statement signed by his Chief Press Secretary, Francis Ottah Agbo, the Governor said the late GoldCoast died of cancer at the University of Texas M.D. Anderson Cancer Centre, Houston, Texas where she had been receiving treatment. Governor Dickson also thanked family members, friends, political associates and Nigerians generally for their prayers and support in the most trying times for the Dickson family. “Until her last breathe, she was a quintessential mother, devout Christian and community leader who devoted her lifetime to the service of God and humanity,” the statement said.